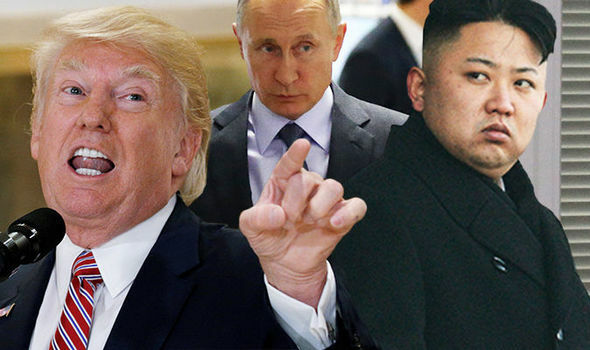 Russia is ready to serve as a mediator between North Korea and the United States if both sides agree, Kremlin spokesman Dmitry Peskov told CNN on Tuesday. "You can't become a mediator between two countries just on your own will. It is impossible, you need both sides to be willing," Peskov said. Peskov's comments come just days after the UN Security Council unanimously adopted a new set of US-drafted sanctions on North Korea in response to Pyongyang's November 29 ballistic missile test. The latest sanctions, aimed to further restrict energy supplies, tighten restrictions on smuggling and the use of North Korean workers overseas, are the toughest yet, according to US Ambassador to the UN Nikki Haley. The vote was unanimous, but Russia's ambassador to the UN criticized the resolution, saying that the US had rushed it through with several last-minute amendments that targeted North Korean workers abroad. Some 40,000 North Koreans work in Russia, and they send significant amounts of their income back home. The resolution's requirement of a 24-month period for North Korean workers to return home "is the minimum acceptable period necessary to deal with the logistical aspects of the issue," Ambassador Vasilly Nebenzia said, before adding one last criticism of the resolution. "Unfortunately, our call to preclude a further escalation of tensions, to revise the policy of mutual intimidation, was not heeded," Nebenzia said. Peskov's remarks on Tuesday are not unusual for Moscow, as the Kremlin has long held the position that the US and North Korea should move toward diplomatic talks. Russian Foreign Minister Sergey Lavrov on Monday urged the United States and North Korea to start a dialogue and said the US should make the first move. The minister on Tuesday urged a fast path toward negotiations in a call with US Secretary of State Rex Tillerson, according to a statement from the Foreign Ministry. Lavrov "stressed the unacceptability of hyping up the tensions around the Korean peninsula with Washington's aggressive rhetoric toward Pyongyang and building up military preparations in the region," the statement said. Lavrov has said US military exercises in the region have made dialogue tougher. In the past, US President Donald Trump has vowed to counter North Korean provocations with military force, saying he would unleash "fire and fury," on North Korean leader Kim Jong Un should their nuclear threats persist. But top US advisers have long retained that the US remains committed to prioritizing a peaceful resolution to tensions with Pyongyang.